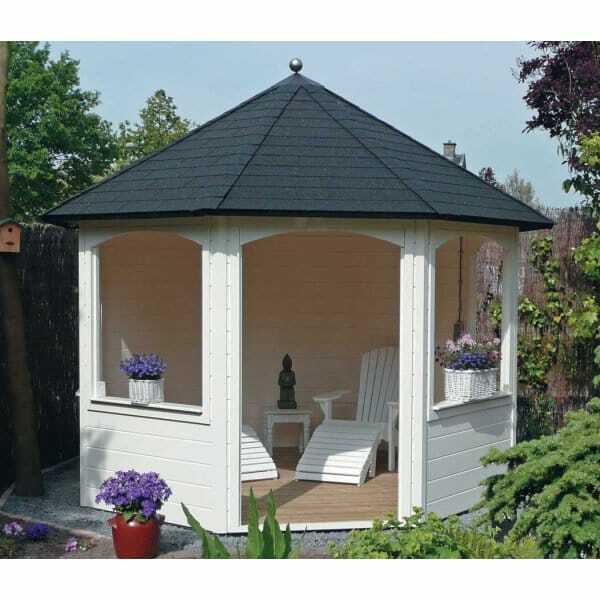 Lugarde Prima Christina Gazebo: The Lugarde Prima Christina Gazebo is our mid-sized gazebo from Lugarde. There are lots of potential options with this garden building. As standard the Lugarde Christina Gazebo has three fully enclosed walls, four partially open walls and one (the door way) fully open wall (to discuss the options on this building please call us on the number above). As with the summer houses in this range they come with a shingle roof, the shingle roof has 5 colour options.